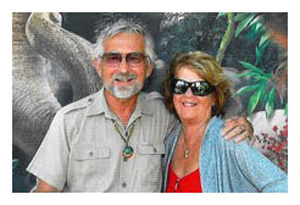 Brought up in the Catholic Church, Dr. Frank Juszczyk, (pictured below with wife, Jean) a professor emeritus of English at Western New Mexico University, has explored Hinduism, Taoism, Buddhism, Quakerism, Unitarianism, Swedenborgianism, various Protestant Christian sects, Christian Science, and other faiths and disciplines of a metaphysical nature. Moreover, he holds the rank of black sash in Chinese boxing (Kung-Fu), which he has taught for some 40 years, and which he believes has instilled in him certain insights, especially how to overcome fear. He calls the worldview he finally adopted as multidimensional. “Once I discovered what I considered the metaphysical implications of quantum physics – what I call ‘mysticism with legs’ – I felt that I had finally discovered a view of ultimate reality that was, in so-called ‘real’ terms, provable and yet remained open to further interpretation as more became known,” he explains in response to an email I sent him. Juszczyk’s first book, Our Gal Someday, is a novel involving a self-centered young man who works for an agency that investigates reports of UFO sightings. While investigating a UFO landing, he meets a young woman (the Someday of the title) who seems to have paranormal abilities and becomes his mentor. His adventures with Someday alter the man’s belief in his former reality. Eventually, a UFO lands and the young man and Someday communicate with the alien pilot of the craft, who is unlike any of the stereotypes with which they are familiar. The entire experience changes the young man in profound ways and he returns to his home without resolving his relationship with Someday. But with his new perspective on reality, he is optimistic about an eventual reunion with her on a higher, more extra-dimensional level. From what Juszczyk has learned in Matrix Energetics, there are multiple versions of ourselves in other dimensions who do not share our specific conditions. “Therefore, a version of me who never had prostate cancer can exchange that condition with my own, but without having to suffer my cancerous condition himself,” he elucidates. “This is pretty routine stuff for Matrix, and can be initiated at will, using intent and immediately letting go without having envisioned a specific outcome. The outcome is left to the universe of possibilities that arise from an un-collapsed state.” To this day, he has had no recurrence of the prostate condition. As always, you continue to introduce us to new, and supporting ideas about the Afterlife, Consciousness, etc. 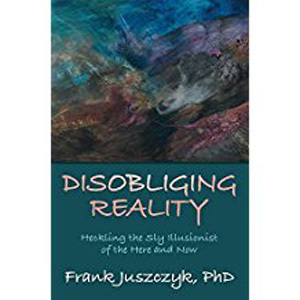 Dr. Juszczyk certainly has a fascinating background, and I will look forward to reading his new Book. He introduces some new ideas (to me anyway) about UFOs, multidimensions, etc. Just gotta read Juszczyk’s book. He really is my kinda guy. First, he says he was led to a concept of true reality and multidimensions via quantum physics - which mirrors my discoveries. He considers multidimensions are one’s true reality, which follows closely “Seth” concepts - the entity channelled by Jane Roberts in her many books. “Seth” maintains that every night in our dreams, we travel among many non-physical realities normally unknown to us. The bleed-through Juszczyk mentions from other realities explains mediums’ exceptional capabilities. This is where usually a so-called filter in the brain ensures that when we are not dreaming, we are appropriately focussed on our accustomed daily physical reality. Whereas mediums have the ability others don’t, to overcome this “filter” restriction at will. As you know Mike, all these things are covered in my recent book. Even Juszczyk’s provocative assertion “There was no Big-Bang ” - which surprisingly to many, is actually true. This is because it can instead be shown to be just a carefully controlled expansion, the opposite of an explosion. So, the phrase “Big-Bang” is really a mis-nomer. Also, he says, “What’s more, evolution has never been conclusively proven”. I go far further and say there is planetary evolution and spiritual evolution, but Darwinian evolution can be proved to be a hoax, as mutations always destroy information and cannot add to the gene pool. I could go on an on, but I won’t. As I’m off to buy the book.